PTBN Sports Lounge #32 – Quarter Season Baseball Awards, UFC 187, and More Deflategate! PTBN Sports Lounge #31 – DeflateGate, NBA Playoffs & Bill Simmons! PTBN Sports Lounge #30 – Wells Report, Mayweather/Pacquiao and MLB! PTBN Sports Lounge #29 – Opening Day! MLB AL West & NL East Previews! 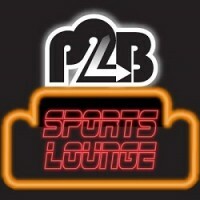 PTBN Sports Lounge 24: Deflategate!!! !